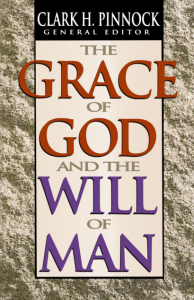 This is a series of fifteen treatise’, written in 1989, by different authors from an Arminian point of view. Pinnock is well known for his views on Hell and a few of the others such as William L. Craig and Richard Rice are well known for their writings on man’s free will. Though I cannot accept Rice’s view that God’s foreknowledge is constantly increasing because reality is constantly developing, I do like Craig’s view of middle knowledge (a concept developed in the Counter Reformation by Luis Molina) i.e. God not only knows everything that could happen and everything that will happen, He knows everything that would happen given man’s free will. I also liked Jack Cottrell’s thesis that an unconditional and efficacious will of God is incompatible with a free will of man. Interesting!